Opportunity Zones have been designated in the Wenatchee Valley to offer federal tax breaks to spark development and job creation. 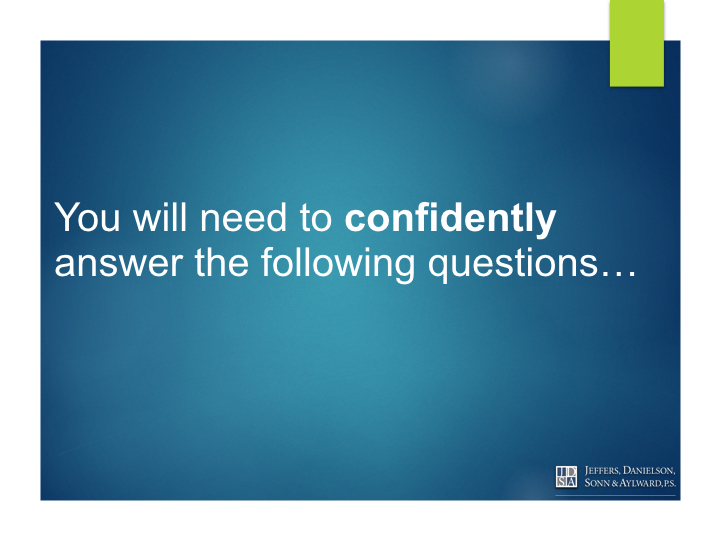 Lindsey J. Weidenbach, partner at JDSA Law and Melissa LaFayette, Assistant Director of the National Development Council, will discuss what an Opportunity Zone is and will cover the most recent rules from the IRS. Come learn about this program and how these zones will be able to defer or eliminate federal taxes on capital gains. 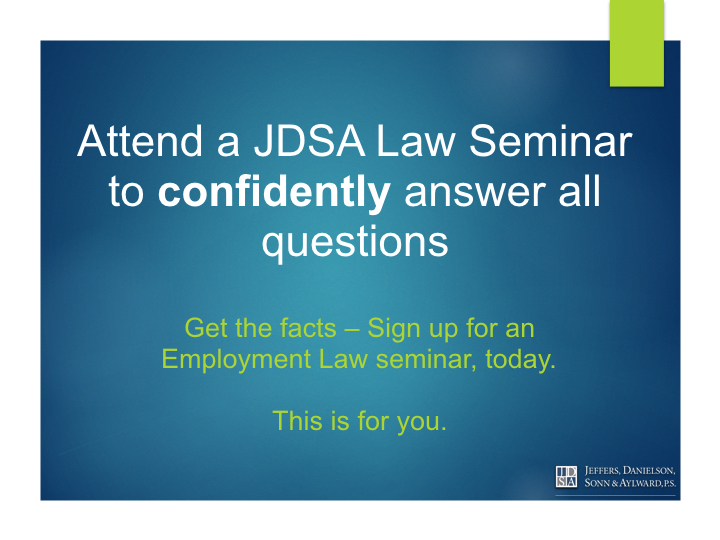 Presentation facilitated on Monday, August 20, 2018, at 3:00 p.m. by JDSA Law Attorney, Sally White, "How to Prevent the "Gluten-Free" Craze from Becoming a Mislabeling Nightmare"
Presentation facilitated by JDSA Law Attorney, Lindsey Weidenbach, "Obtaining a Washington Cannabis Business License"
Your business name, brand name, and logo are trademarks that should be viewed as business assets. Use in commerce may create certain rights. Don’t let this valuable property be wasted by failing to protect it! Sally White, from JDSA Law, will present on the topic of Trademark Law 101 and steps you can take to adequately select, protect, and enforce your trademarks, including some creative and entertaining approaches to cease and desist communications. JDSA is a Gold Gavel Sponsor at this year's Chelan-Douglas County Volunteer Attorney Services (VAS) Law Day Awards and Benefit Luncheon. The keynote speaker, Washington Supreme Court Justice Steven Gonzalez, will speak on the theme, Separation of Powers: Framework for Freedom. Featured Guest Speaker Evan McCauley, JDSA Law, "Testamentary Divisions of Real Property by Wills"
WAFLA Labor Conference "Staying the Course"
Sponsored by Jeffers, Danielson, Sonn & Aylward, P.S. 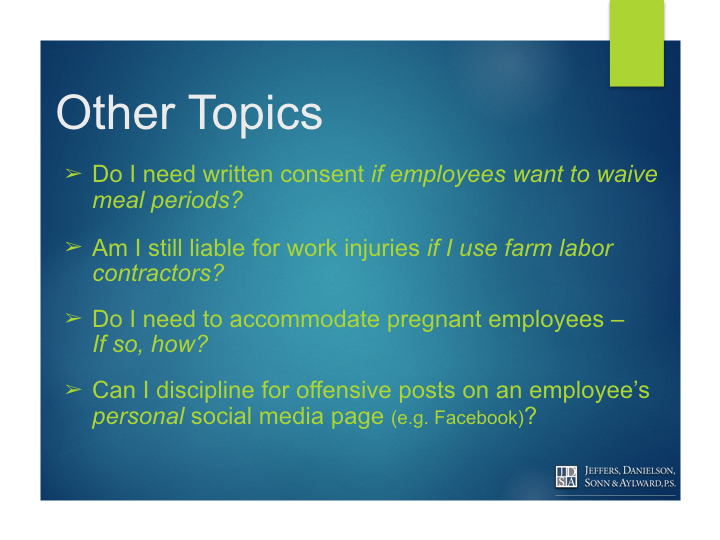 Featured Presentation facilitated by Peter A. Spadoni, JDSA Law "Assault on Ag Wages - Are You Ready"
Two Breakout Sessions facilitated by JDSA Law attorneys Rita H. Lovett and Annie L. Robinson "Understanding the Gamut of Laws"
Sponsored by: Jeffers, Danielson, Sonn & Aylward, P.S. Guest Speakers: Kristin Ferrera and Rita Lovett; Jeffers, Danielson, Sonn & Aylward, P.S. Join JDSA Law attorney, Rita Lovett, as she explains what you need to know now about Paid Sick Leave and other updates; how the new laws may impact your business and why it matters to you and your employees. Seating is limited so sign up today! 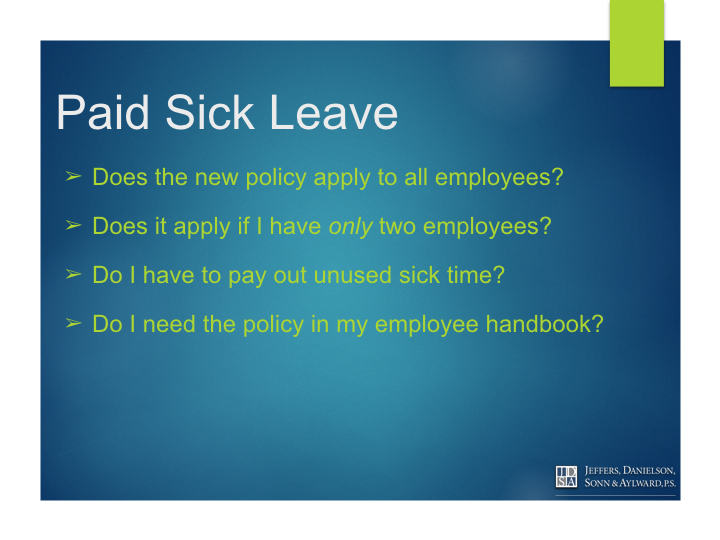 Join JDSA Law attorney, Kristin Ferrera, as she explains what you need to know now about Paid Sick Leave and other updates; how the new laws may impact your business and why it matters to you and your employees. Seating is limited so sign up today! Volunteers from JDSA Law will be available to provide information to help veterans prepare their estate planning documents, at no cost, as part of the October Veterans Will Clinic.